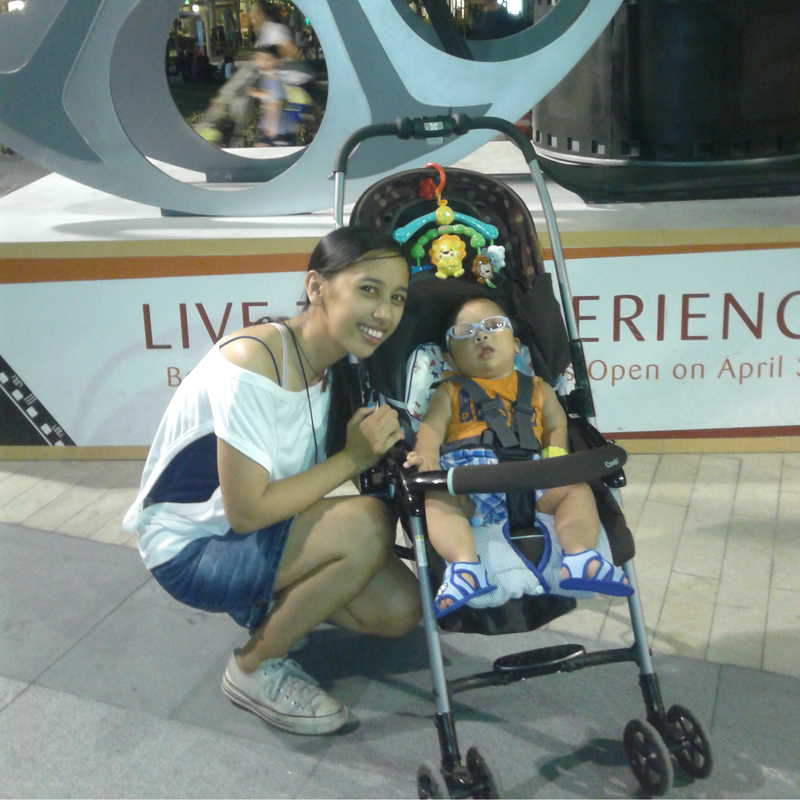 Last Saturday was a busy one for me and my little Z (and of course, with my sister as well :P). We got a last minute invite to the christening of my office mate’s baby who was a month younger than Z at Max’s Restaurant in Robinson’s Galleria then off to BGC for a meet up and a play date. 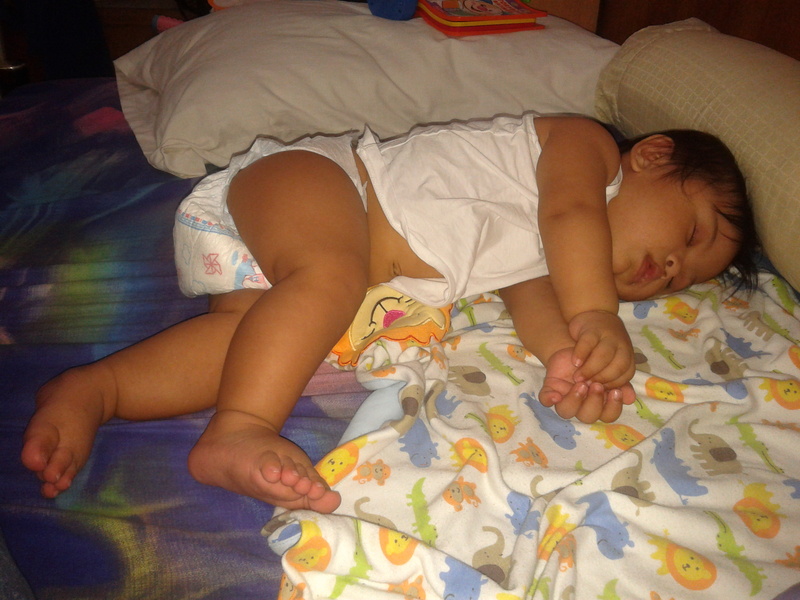 We got home late night already (way past Z’s bedtime, actually.. Yikes!). I didn’t know that Highstreet had an event that day – something about a photography event, so a lot of people were there. Even our usual hang out place – Bo’s Coffee – was full. 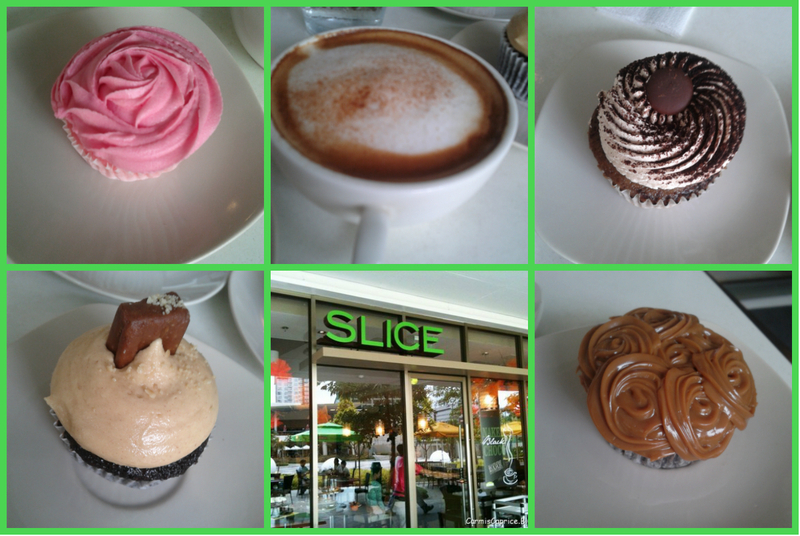 After three rounds, we found ourselves at Slice. They are located beside Jamba Juice, near the fountains. I thought that it was a good spot since it was near the fountains because my friend’s son loved playing there. The place is nice. Nothing too fancy, I would say. We just ordered their cappuccino and tried a few of their cupcakes. Their cupcakes are actually good (a little too sweet, according to my sister) but their coffee, there’s actually nothing special about it. I think their cappuccino was a tad bit overpriced even if they have included a small cup of refreshing juice and about a handful of granola mix (was not able to take a photo of it though). What actually irked me was the service. My sister and I agreed that the service is way below the price range, so to speak. Suffice it to say that I cannot justify their menu prices with the kind of service that we experienced. Maybe it was a one off due to the number of people that day. Who knows. We decided to have dinner within the area since another friend and his family was coming for a play date. We were supposed to meet at around 5PM. Well, the 5PM became 730PM. I am going to spare you the details. We had dinner at Kabisera then let the kids run around for a while before we went home. They stayed back for a little while I was told. And yes, forgetful me. I forgot to take photos of the kids. Geez! Blame it on the heat and hunger. Haha! And to think that I have cleared up space in my phone’s memory just for picture taking. Oh well. I hope there will be a next time though.